Note: The following is the entirety of Chapter 5 from A Guide to Flexible Dieting. In this chapter, I want to discuss some two of the primary ways that dieters tend to sabotage their own efforts on a diet, that is the way that dieters fail diets. These two ways are being too absolute and expecting perfection and by thinking only in the short-term. And before you complain about how bad it is form wise to write a short introductory paragraph instead of just going straight into the text, I’ll defend my style choice by explaining that I don’t like starting a chapter with a bold-faced sub-category. So there. Perhaps the single biggest reason I have found for dieters failing in their diet effects is that many dieters try to be far too absolute in their approach to the diet something I alluded to in the foreword. When these people are on their diet they are ON THE DIET(!!!). Which is altogether fine as long as they stay on the diet. The problem is that any slip, no matter how small, is taken as complete and utter failure. The diet is abandoned and the post-diet food binge begins. As I’ve said repatedly, this tends to puts the fat (and frequently a little extra) back on faster than before. We have all either known (or been) the following person: one cookie eaten in a moment of weakness or distraction, the guilt sets in, and the rest of the bag is GONE (perhaps inhaled is the proper word). Anything worth doing is worth overdoing, right? Psychologists refer to such individuals as rigid dieters, they see the world in a rather extreme right or wrong approach, either they are on their diet, and 100% perfection is expected, or they are off their diet, shovelling crap in as fast as it will go. I’m quite sure this type of attitude is not limited to dieting, probably any behavior you care to name finds people at one extreme or the other. As a side note, you can oftentimes see the same attitude with people starting an exercise program. The first few weeks go great, workouts are going well, then a single workout is missed. The person figures that any benefits are lost because of missing that one workout and they never go back to the gym. Now, I could probably go on for pages about this one topic but I’ll spare you the verbiage. My main point out that there are times (most of them) when obsessive dedication or the expectation of perfection becomes a very real source of failure. Sure, if it drives you towards better and better results, such an attitude will work. But only until you finally slip. Note that I said ‘until you slip’ not ‘if you slip’. In most cases, it’s a matter of when, not if you’re going to break your diet. There are exceptions, some of which I’ll mention below, but for the majority of dieters, I would say that expecting perfection is pretty much expecting failure. If you take the attitude that anything less than absolute perfection is a failure, you’re pretty much doomed from the start. Now, there are some exceptions, places where results have to obtained in a very short time frame and you can’t really accept mistakes. Athletes who have a short time to get to a certain level of bodyfat or muscle mass, for whom victory or defeat may hinge on their ability to suffer for long enough are one. I mentioned some others in my last booklet, individuals who have to accomplish some drastic goal in a very short period of time; even there I included some deliberate breaks for both psychological and physiological reasons. But in the grand majority of cases, this type of obsessive, no-exceptions attitude tends to cause more problems that it solves. Keeping with this idea, psychologists frequently talk about something called the 80/20 principle which says that ‘If you’re doing what you’re supposed to do 80% of the time, the othe 20% doesn’t matter’. While there are certainly exceptions (try avoiding crack or heroin for 80% of the time), it certainly applies to dieting and exercise under the grand majority of conditions. If the changes you’ve made to your diet and exercise program stay solid for 80% of the time, the other 20% is no big deal. Not unless you make it one. And that’s really the issue, that 20% problem only becomes one if the dieter decides (either consciously or unconciously) to make it a problem. Once again, the exception is for those folks under strict time frames, who don’t have the option to screw up. For everyone else, seeking perfection means seeking failure. The second primary way that dieters fail diets is focusing only on the short-term and this applies in a couple of different ways. The first is a reality issue. 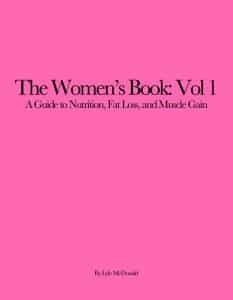 Ignoring diets promising quick easy weight loss (my Rapid Fat Loss Handbook caused rapid weight loss, a great deal of which was water, but it sure isn’t an easy diet), about the best you can usually do with true fat loss is somewhere between 1.5-3 lbs/week (heavier individuals can lose more). For the sake of example, let’s say 2 lbs/week can be reasonably expected for a fatter individual. For someone with a large amount of fat to lose, 50 or 100 pounds, this may mean one-half to a full year of dieting. Possibly more since it’s rare to see perfectly linear fat loss without stalls or plateaus. Consider the reality of that, you may have to alter eating and exercise habits for nearly a year just to reach your goal. Do you really expect to be hungry and deprived for that entire period? I thought not. If you have a lot of weight/fat to lose, you need to start thinking in thte long-term, you will need to make changes to diet or activity (or both) and maintain them in the long-term. As a second issue: a lot of dieters seem to think that once they have lost the weight with one diet or another, they can revert to their old habits and keep the weight off. So they change their eating habits drastically, drop the weight and then go right back to the way of eating that made them fat. And, to their apparent surprise, they get fat again. “You can never go back again.” as the old saying goes. If you go back to the diet and exercise habits that made you fat in the first place, you’ll just get fat again. This actually makes a profound argument for making small, livable changes to your eating and activity habits and avoiding the type of extreme approach that I described in my last booklet. The simple reason being that small changes seem to be easier to maintain in the long-term, even if they don’t generate results as rapidly. And that’s actually sort of the trade-off, the types of small changes that tends to be sustainable in the long-term tend to cause weight/fat loss that is so painfully slow (or minimal) as to be almost irrelevant; and the types of extreme approaches that generate rapid results tend to be nearly impossible to stick to in the long-term. In my last booklet, my compromise was to use the Rapid Weight Loss approach as a short-term approach and then use it to move into a maintenance approach. But I digress. At the end of the day, here’s the painful reality that all dieters must come to terms with: the only way to both lose fat AND maintain that loss in the long-term is to maintain at least some of the diet and exercise habits you changed in the long-term. Forever, basically even though that’s a little too depressing to consider. Maybe we should just think long-term instead. Hopefully we’ll get genetic engineering soon enough to make it a not-forever kind of deal. Dieters (or anyone seeking to change a long-standing behavior) must stop thinking of diets as a short-term behavior change, you’ll have to maintain at least some of those changes in the long-term. Now, I’ll point out here that the strategies used for weight/fat loss and maintenance aren’t necessarily going to be the same (nor should they be). As I talked about in the Rapid Fat Loss Handbook, there are situations where an extreme diet can be used initially and used to move into a proper maintenance phase. A lot of diet researchers and diet book authors miss this point, thinking that the diet that you followed to lose the weight/fat must or should be the same as the one you use to maintain that loss. I do think it’s helpful is the diet that caused the fat loss can be used to move into a maintenance approach (again, something I discussed in some detail in the last booklet and will make mention of in this one) but they needn’t be the same. If eliminating all of the carbohdyrates from your diet makes it easier to lose fat in the long run, and you are able to move back to a maintenance diet that contains some carbohydrates, I don’t see what the problem is. Once again, the diet you use to lose the fat doesn’t necessarily have to be thes same diet as you use to maintain that fat loss. If nothing else, you get to eat more when you move back to maintenance, the types of foods you allow yourself may change as well. Summing up this section, it’s not that diets per se fail, it’s that diets that are only followed short-term fail. The body is really good at storing incoming calories as fat after a diet and if you return to old eating habits, you can just watch the pounds come flying back on. To hopefully cement this point in your mind, studies of successful dieters (those who have lost weight and kept it off for some period of time, usually 2-5 years) have shown several very consistent behaviour patterns of which this is one: they maintain the dietary and exercise changes they have made in the long-term. If you’re not going to maintain at least some of your changed dietary and exercise habits in the long-term, you might as well not bother (with one major exception discussed below). There is, however, one major exception to the above that I should probably mention (and that I discuss in greater detail in my Rapid Fat Loss Handbook). There are individuals who, for whatever reason, only have to be in shape for a very short period of time, a day or three at the most, who don’t necessarily care if the results are maintained long-term or not. Usually it’s a bodybuilder preparing for a contest, or even a model who has a particularly important photo shoot. Or a woman who needs to drop 20 lbs for her wedding or a male who needs to impress people at his high school reunion. Even athletes who have to make a weight class sometimes have to do scary stuff to get where they need to be, usally involving fluid restriction and frequently severe dehydration. But the consequences of not making weight (whatever they may be) are greater than the extreme approaches that tend to be used. In situations like that, whether it’s healthy or not, extremely restrictive and/or even slightly dangerous approaches are frequently used. We may not like them, we may not condone them but sometimes the ends justifies the means because a few pounds may mean the difference in getting a big paycheck/winning the contest/looking good in your wedding gown or not. In these situations, long-term maintenance isn’t necessarily the goal. No sane bodybuilder expects to maintain contest shape year-round, and no weight class athlete expects to maintain a severe state of dehydration year round. They get in shape for their event, and relax to some degree for the rest of the time. So the above sections really are aimed at the person looking to lose fat and keep it off long-term. In that case, where maintenance is just as important as the loss itself, absolute attitudes and focusing only on the short-term hurt far more than they help, and should be avoided as much as possible. In addition to the strategies I’m going to discuss in this booklet, this means taking a very different attitude towards dieting. First you have to let go of your absolutist attitudes, which can be hard. Second, you need to start taking the long-view to both your weight loss and dietary and exercise habits. I’ll come back to this in later chapters.